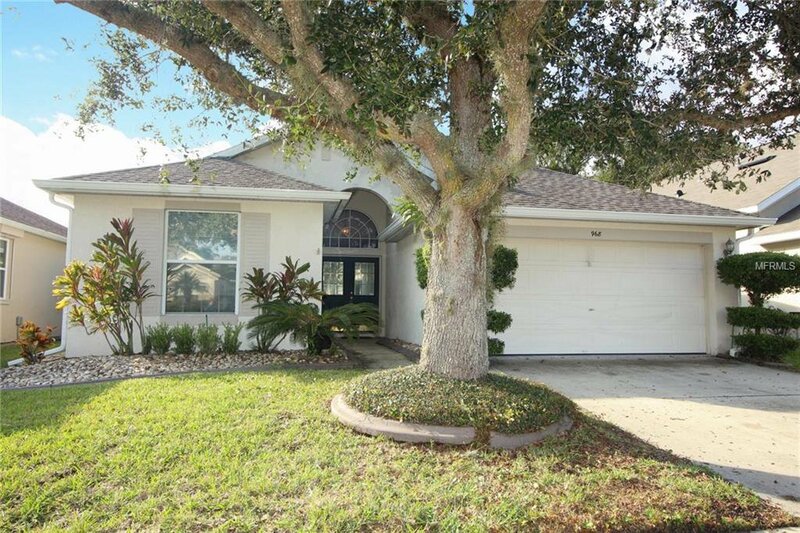 Come take a look at this beautiful 3 bedroom, 2 bath POOL home in the much sought after community of Bridge Water. This ideal floor plan features easy care laminate flooring throughout the family room, kitchen and master bedroom plus and abundance of natural light. Open kitchen showcases breakfast bar with rich maple cabinetry and recessed lighting. Large Master Bedroom with master bath with dual sink vanity, soaking tub, water closet and walk-in shower. Enjoy private backyard living, perfect for entertaining or everyday relaxing, complete with huge screened covered lanai, built-in TV mounts & heated JACUZZI! Additional features of this home include a 2 car garage and BRAND NEW ROOF. The quiet community of Bridge-Water boasts two community pools and clubhouse. Ideal location sets the stage for a truly convenient lifestyle: just minutes from Waterford Lakes Town Center offering more than 100 specialty shops, a variety of restaurants, and entertainment in a park-like, open-air shopping environment. Plus enjoy easy access to 408 one block west of the community and close proximity to UCF & Research Parkway. All that Central Florida has to offer (attractions, beaches, the wetlands & more) is just a short commute. Listing courtesy of KELLER WILLIAMS AT THE PARKS. Selling Office: NON-MFRMLS OFFICE.